We don't think there are many more enjoyable pastimes than a walk in the countryside followed by glass of wine/beer and a meal! We are truly spoilt by the places locally that offer both in abundance. Perhaps that is what attracted us here in the first place. Here are some of the places we have enjoyed and can recommend. There are plenty more to discover, but you may need to extend your stay or better still come back! Our nearest watering hole. A great village pub serving local ales and ciders. Serves pub food and has a decent a la carte menu also. A popular country pub dating back to 1862 that serves good pub food and also has a nice beer garden. Allows dogs in the bar area. 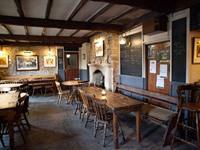 A delightful country pub with a great gastropub menu, nice atmosphere, flag-stoned floor bar and oodles of character. You will need to book ahead at weekends to ensure you get a table for eating. 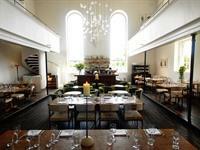 Interesting minimalist conversion of a church that provides a wonderful dining hall. Nice outside terrace in the summer. Food is pretty good too. Lots of local produce on the menu. Freshly baked breads. Fabulous pizzas. Great salads. Also good for a special morning breakfast treat! 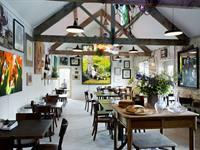 Located at the Hauser & Wirth Gallery, Somerset. You will need to book ahead for this one. Has a great Friday night evening event with live music. Food again focuses very much on a local theme with some meats bred and raised on the farm! Vibrant informal atmosphere, but definitely a night out. If you are looking for a more special evening out. Great food and wine list. 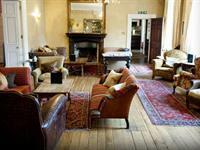 We love sitting in the lounge by the fire enjoying a slow drink beforehand. Probably our favourite pub, though not the nearest and a bit off the beaten track, but that's what we like about it! There really isn't any better place to hole up after a long country walk on the surrounding Dorset & Somerset hills. 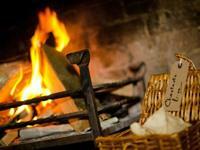 Fantastic food and a delightful cosy atmosphere in front of open fires. Oh and they love dogs!